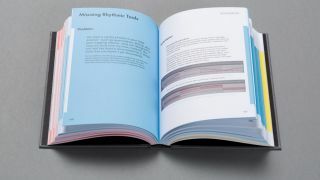 Ableton's book is designed for users of all DAWs, not just its own. Not content with giving you the tools you need to make music, Ableton is getting into the publishing business and releasing a book on the subject. Emphatically not an expanded version of the Live user manual, the new tome - entitled Making Music - 74 Creative Strategies for Electronic Music Producers - is actually designed for users of all hardware and software, not just Ableton's. It's divided into three sections that deal with beginning, progressing and finishing your projects respectively. Written by Ableton's Head of Documentation Dennis DeSantis, the book promises "concrete tips for solving musical problems, making progress, and (most importantly) finishing what you start". We suspect this means that, as well as practical advice, Making Music will also contain some philosophical discussion about the creative process. You can read selected chapters from Making Music - 74 Creative Strategies for Electronic Music Producers on the Ableton website, where you can also order it for $30/€25. We're told that Kindle and iBook versions will be available in April.